When you have lived abroad for some time the concept of ‘home’ begins to change. 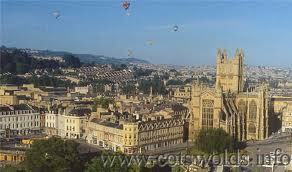 Currently I am at ‘home’ in Bath in the UK for a short trip. My mother says that ‘home is where the heart is,’ an old English proverb, and I suppose she is right. However, what if the heart is in more than one place? Family is important, but what about partners, friends and work? Holland has stolen my heart, so is Holland now my home? 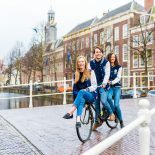 Soon all the new international students will be arriving in Leiden from different parts of the world, excited to begin their new adventure, probably having left their home towns a little bored and disenchanted. What they won’t be expecting is the home sickness that envelops you after a few days. Home becomes this Mount Olympus type mirage that you cannot see or reach but can only make futile lunges for. At this point it is better for them not to spend all their time phoning home because it seems to cause more melancholy than emotional relief. This was about the point in time that I joined the theatre group I am in and the home sickness seemed to evaporate in a puff of smoke with the enjoyable distraction it presented for me. For those internationals who left their homes feeling they were dull and could afford no new interest for them, they will be pleased to know that home will suddenly become a wonderful place, more like a holiday than ‘home’. When I go home my mother fills the fridge with all the food I like and cooks all those old favourite meals, my family take me on day trips to my favourite places, friends come to visit and I generally have a wonderful time. The boredom vaporizes because you know you won’t be there long. And what’s more, everyone is so excited to see you! You are an exotic novelty with Byron-esque anecdotes of sophisticated and cultured continental life to entertain them with (that’s what I like to think anyway). But whilst I am having a lovely time at home, I can’t help but miss my little attic room, wonder what my friends are doing, and worry a little (probably not enough) about the work piling up in my absence. I am sure that many of the new international students will find that Holland will quickly become their new home too. Nice to read something by a fellow Bathonian! This is a cool blog. I moved to Leiden 3 days ago and love it! This entry was posted on July 23, 2012 by admin@theleidener in Anna.